celebrates in the Magnificat God raises up the lowly. him to overcome the fear of the resulting disgrace. genders in art and pageant, but not in biblical text. 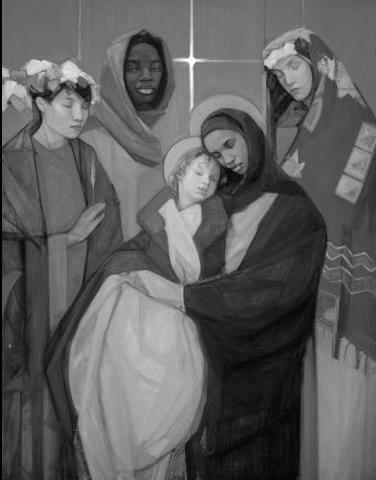 portrayed in Matthew’s gospel included female Magi. assumptions of wisdom and power. cultural constructs including those based on gender. ‘in him’ and heirs of promise. This is the a-genda of Christmas!